Had the downloaded digital version of this book since the 2nd edition, for at least a couple of years now, dipped into it, but still haven’t read it through. I should and I will. This winter! 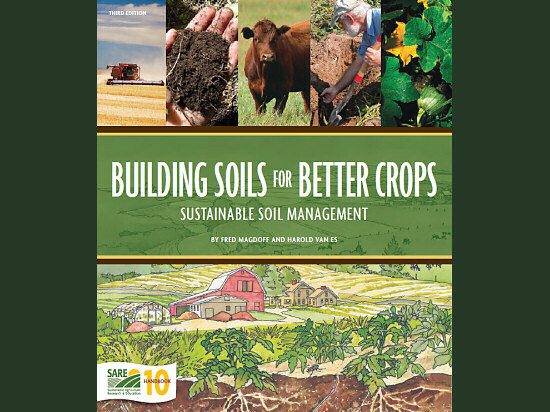 The 3rd edition of Building Soils for Better Crops: Sustainable Soil Management came out last year and it’s even better, full of practical science for the upward-looking tiny farmer and veggie gardener. Here’s the blurb: “A one-of-a-kind, practical guide to ecological soil management. It provides step-by-step information on soil-improving practices as well as in-depth background—from what soil is to the importance of organic matter. Case studies of farmers from across the country provide inspiring examples of how soil—and whole farms—have been renewed through these techniques. A must-read for farmers, educators and students alike.” The PDF version is a free download, the printed version is about 20 bucks. There’s a fair number of soil books and books that cover soil out there, but for the tiny farmer, this is pretty much one of a kind. Nothing like New Year’s Day! Thank you for the link! I may see if I can transfer the e-book to my Kindle to make it easier to read. Thanks for the link! Can’t wait to read it now…. Thanks Mike, this link couldn’t have come at a better time for me.